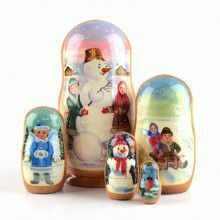 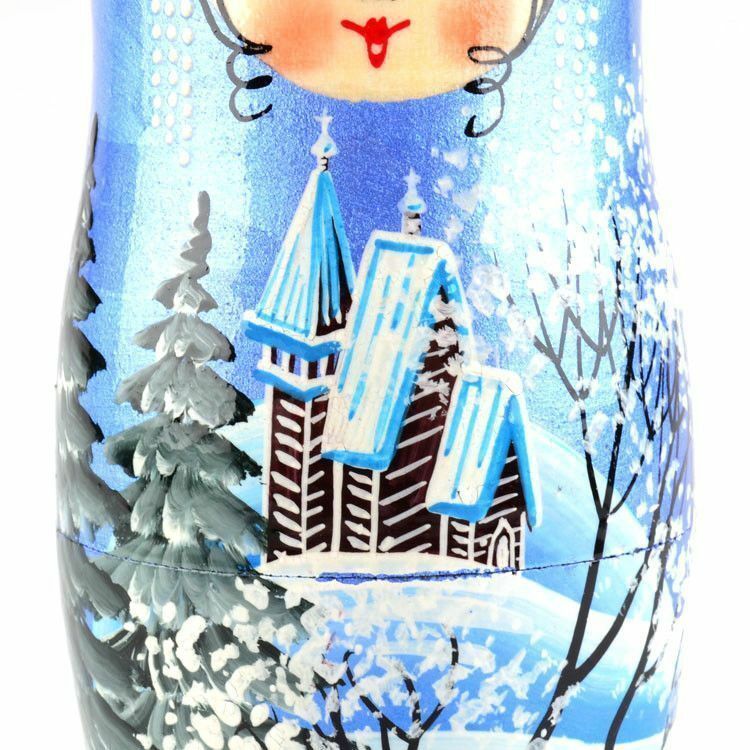 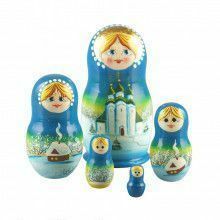 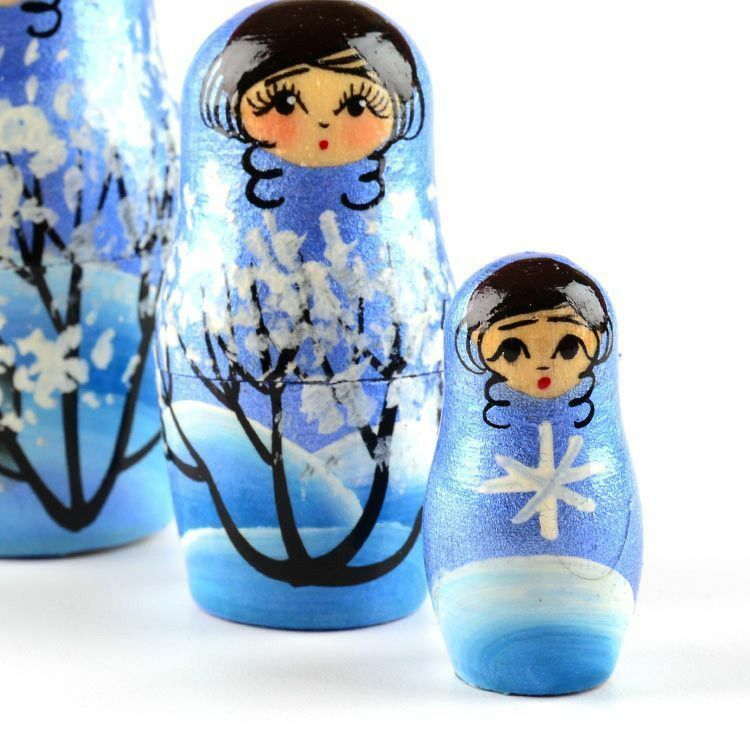 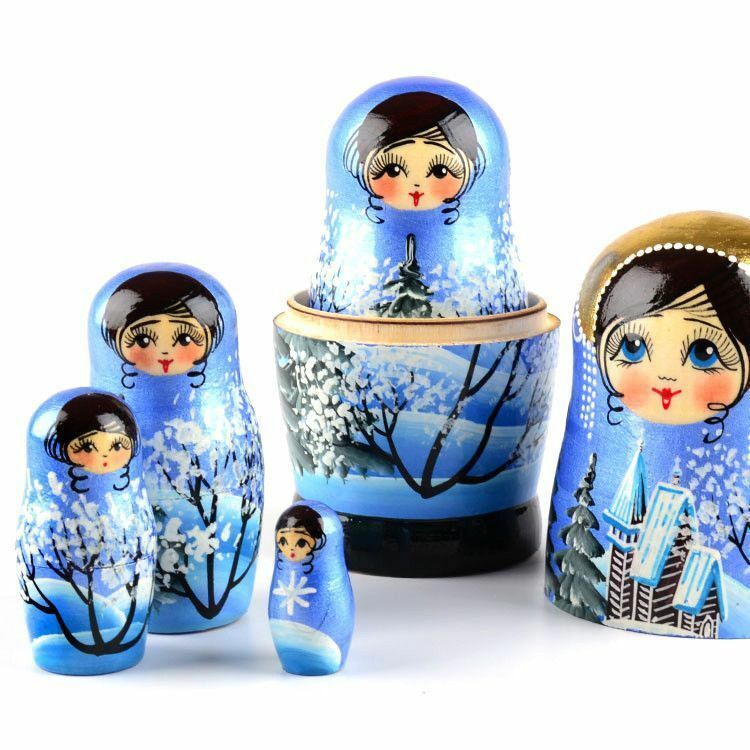 This lovely nesting doll shimmers with tones of blue color, as well as gold, and then accented with Winter trees and an old church. 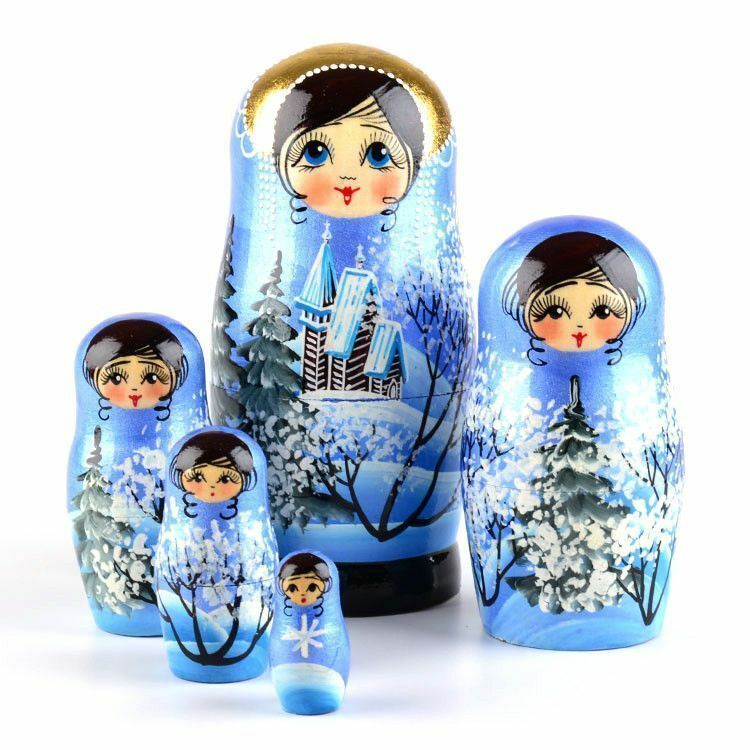 The detail on this doll is impressive, from the eyelashes of the main matryoshka, to the hair curls on the smallest doll. 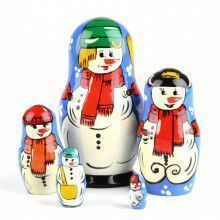 Nearly 6 1/2" tall and gloss finished.